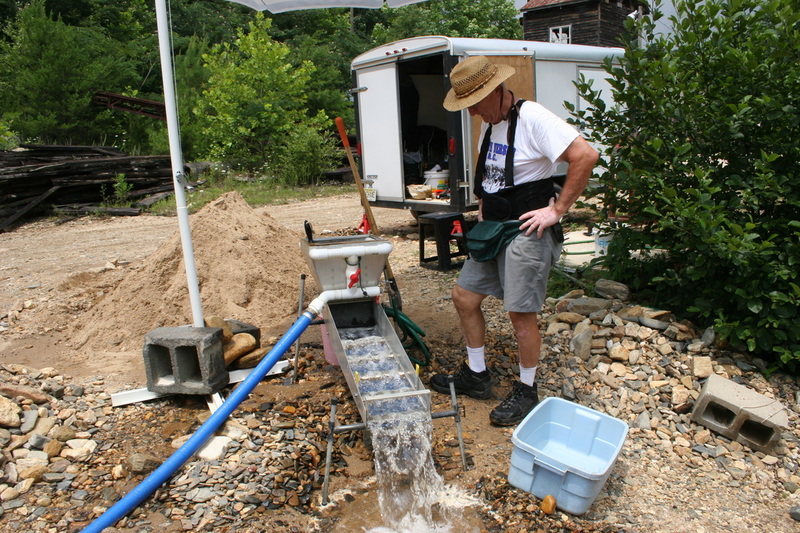 Burke County has always had its fair share of gold deposits along their many rivers and creeks. 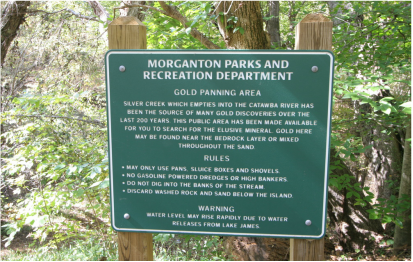 Located in one of the richest areas of North Carolina for gold deposits, panning along the Catawba River is a popular activity even today. Burke County is full of other activities to keep you entertained after a long day of gold panning. The Pisgah National Forest has over 500,000 acres to explore, Linville Falls has a number of trails and scenic waterfalls, and the Ridgeline Trolley Tours are happy to give your feet a rest while they tour you around some of the most popular stops. 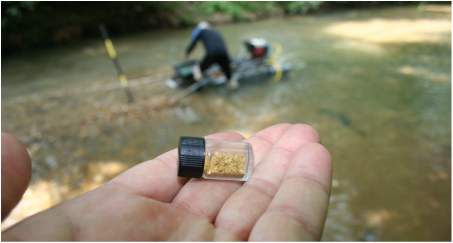 Panning for gold is alive and well in Burke County, and its rivers and creeks still have numerous gold deposits, ripe for the picking. You will find everything from beginners to experienced panners sifting through their most recent find in search of that golden yellow nugget. 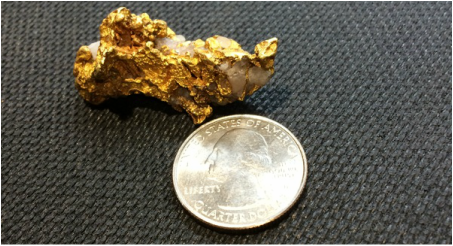 Experience the thrill of finding your own bit of gold along the Catawba River. Look for signs such as the one below, and always make sure to be safe and follow the rules. Smokefoot Trade & Loan is your resource for panning equipment in Burke County. They have both beginner and expert panning tools to fit any need. You can view their online catalog and place your order ahead of time by visiting their website below. 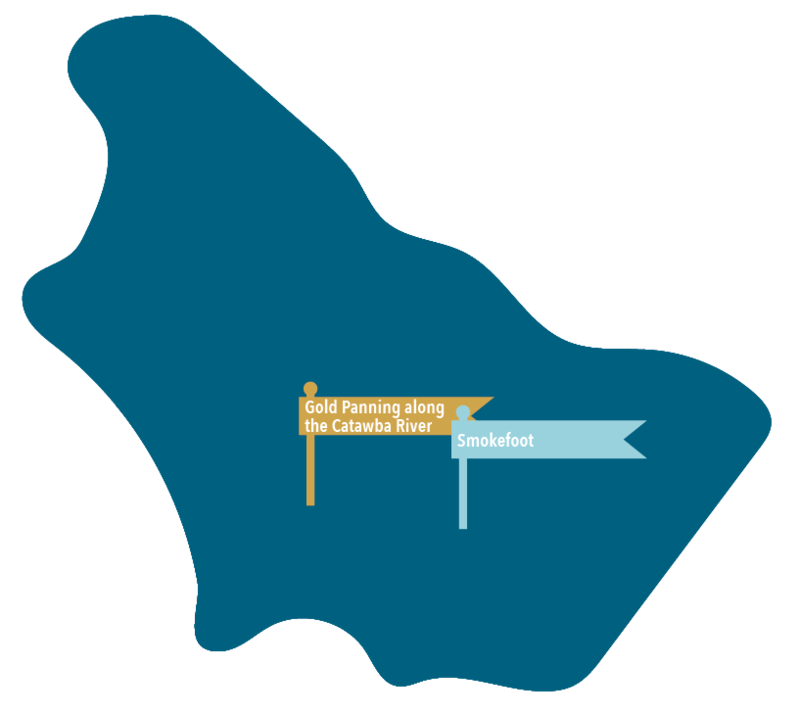 Burke County is easily accessible off Interstate 40 from several exits depending on your destination. Discover Burke County and all its treasures below.